Bear in mind that for every Generic type you get a different Static variable. 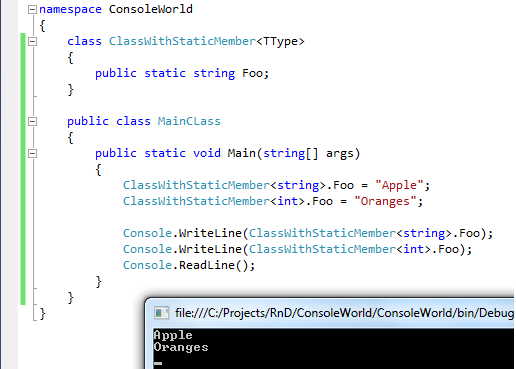 SO if the Static member value has nothing to do with the Generic type then they shouldn’t be in Generic class. They should be declared in different class.